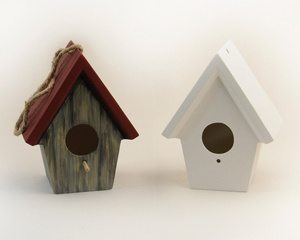 Paint your own ceramic birdhouse. 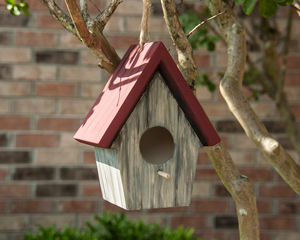 Birdhouse is 7.5 inches tall by 6.5 inches wide. Kit includes 6 colors of paint: black, white, blue, green, yellow, and red. It comes with a high quality paint brush, sponges, craft paper, plates, 18" length of rope, and a 1.5" wooden dowel. 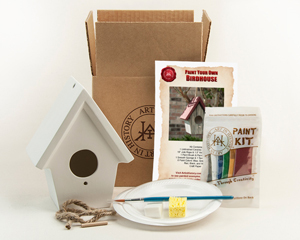 An instructional video showing one way to paint the birdhouse.